There were two more persons living in Meppel with the surname Mesritz, the sisters Henriëtte and Susanne Mesritz, who both lived on Zuideinde. 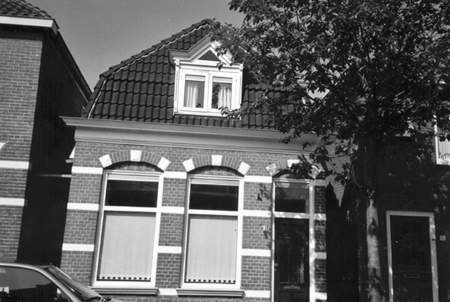 Later they moved to Emmen for a short while and then returned to Meppel in 1935 and lived at 22 Emmastraat. The two ladies were dress makers and made all sorts of clothes for people in Meppel. In one of the many reports ordered by the Germans about the Meppel Jews, the profession of the two ladies was mentioned, ‘shopkeepers’. The Registry Office is more specific in defining the employment of both ladies: ‘shopkeepers in textile goods’. by the Wehrmacht (special forces). The ladies Mesritz first had a shop on Zuideinde. Later they came to live on Emmastraat. They were two old ladies who sold all kinds of things to do with textile. Every Saturday we had to light the fire. First we put newspapers in the stove then light it with one match; next we put the gas and paraffin lamp on. Here too only one match was allowed. So all our attention was needed. For this job I would get paid: 2½ cents for each time and now and again I received Lux washing powder so my mother could wash the clothes. I remember the Saturday morning after they had been taken away. When I came to their house to put the stove on, the door was shut and there was no one at home. I thought it was strange and a little bit annoying because now I would not make any money. Now I understand why. I often think about them. The sisters were two of seven children (two were stillborn) of Andries Elias Mesritz (1830) and Saartje de Hes (1834-1889) both born and married in Meppel in 1861. Henriëtte was born 21 March 1866 and Susanne was born 2 January 1870. Both remained unmarried. 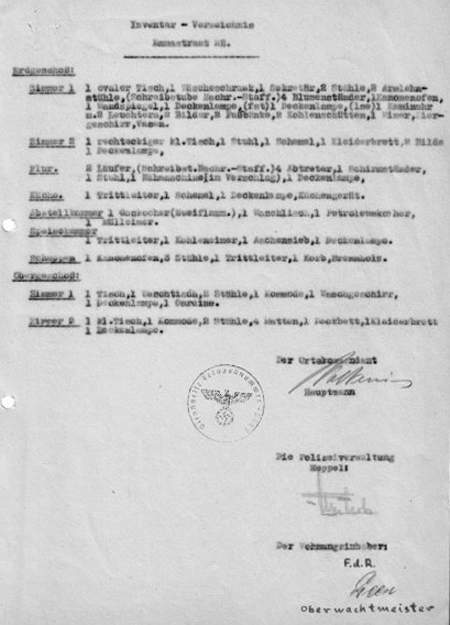 Both were taken from their home in the night of 2 to 3 October 1942. The tragic fate of the old ladies was that they were separated from each other, unable to comfort one another those last anxious days in Westerbork. Around the 9th of October Susanne was transported to Auschwitz together with 1702 other Jews, and Henriëtte was transported three days later with 1710 other Jews. This meant that they died exactly three days after each other, Susanne on 12 October (maybe the moment Henriëtte was put on the train), and Henriëtte on 15 October. The sisters were related to Coene Mesritz, who lived in Molenstraat. The father of Henriëtte and Susanne (Andries Elias) and the grandfather of Coene (Coenraad Jethoehiel) were brothers.